In rally cars, the co-driver is an extra pair of eyes for the driver, telling them where to go and warning them of hazards. 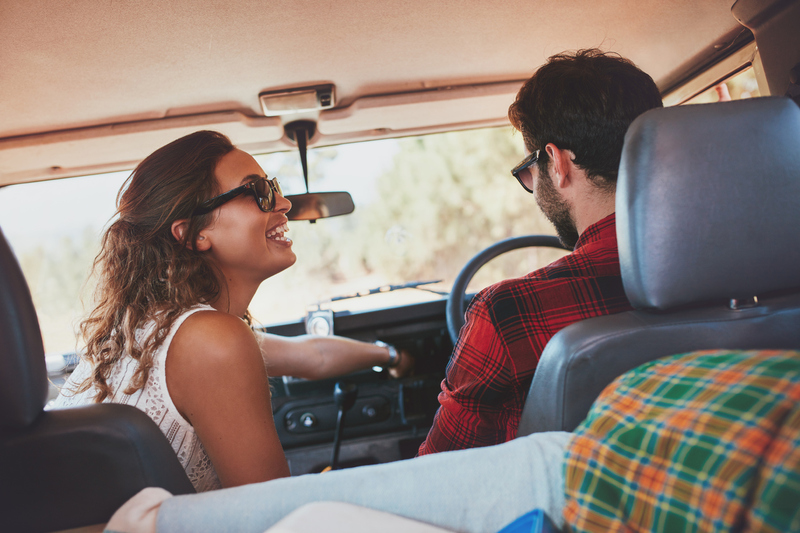 There’s no reason why a front seat passenger shouldn’t play a similar role. You can alert the driver to vehicles they may not have seen or look out for road signs. And you can be a handy assistant, programming the sat nav and taking control of in-car entertainment. If you’re at a junction, do one of two things. Either put your head back so you’re not obscuring the driver’s view to the left. Or look on the driver’s behalf and tell them if it’s safe to go. Advanced driving instructors recommend saying firmly: “Clear left,” when there’s a suitable break in the traffic. What you don’t want to do is lean forwards to satisfy yourself that the way is clear, then neglect to inform the driver. Drivers need to concentrate. You won’t be doing them, or ultimately yourself any favours by turning up the sound system, holding your phone up to show them Facebook posts or opening the door at speed. Try not to turn on the interior light when it’s dark; it has a serious effect on what the driver can see outside the car. You can talk to the driver but it’s probably best not to grill them about anything complicated. Equally, some parts of driving require more concentration than others. If a junction is approaching, you could help the driver to focus by pausing a conversation or turning the music down. 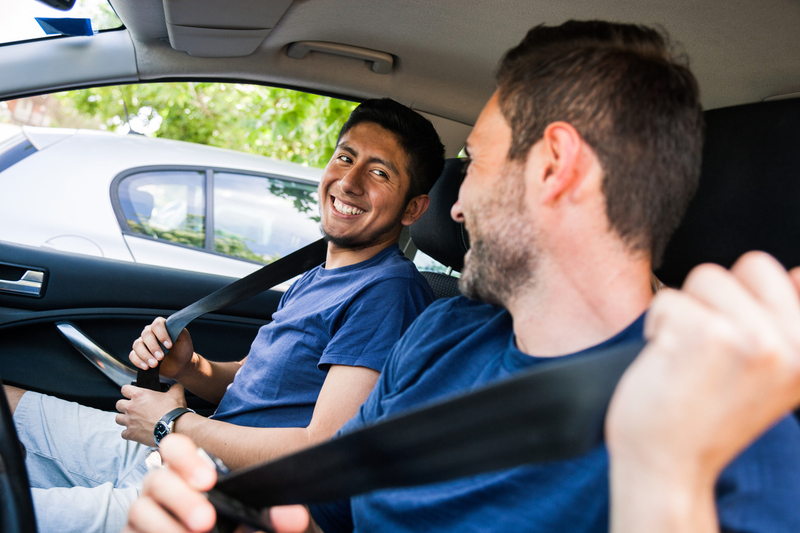 Unless you’re sitting alongside a learner driver, you shouldn’t interfere with the driving process. We’re not just talking about grabbing the wheel. We mean criticising the driver too. They may well not change gear as and when you would. They might hold the steering wheel one-handed when they’re not changing gear. They might even take roundabouts in the wrong lane. But you shouldn’t give them a constant commentary on everything they’re doing incorrectly. It’ll wind them up, increase their stress levels and that’ll probably have a negative effect on their driving. You might be directing someone along roads that are unfamiliar to them or both of you. In that case, they will probably thank you if you tell them which lane they need to be in. Equally, if you see a vehicle that they may not have noticed, don’t be afraid to tell them. And of course, you should react in a firm but calm way if the driver is doing something – consciously or otherwise – that directly endangers the lives of you or other road users. Dangerous situations can and frequently do arise on the road. For passengers, these can be a real test. You have no control over the vehicle, yet you’re as vulnerable as the person at the wheel. The one thing not to do is to gasp, shout, swear, or wave your arms around. At this point, the driver could be needing all their powers of concentration to get through the situation safely. To tweak an old saying: ‘If you can’t say anything helpful, don’t say anything at all.’ It’s never been truer. Yet another misuse of the word “them”. How can one driver be plural? :).. because it is correct, and it is not plural here. “Them” is a gender-neutral pronoun and is correct standard English. Let’s discuss the article, which is very well written.